The physics of surfaces and interfaces has become a major area of research in the last few decades, as trends in science and technology towards miniaturisation down to the nanoscale demands as complete an understanding as possible of the physical properties of systems whose boundaries constitute an appreciable portion of the overall system. This has been accompanied by an unrelenting search and development of new materials systems with novel and enhanced properties with potential for device applications. The intersection between interface physics, size scaling and functional materials forms a locus of much promise, from both a fundamental and technological perspectives. Interface phenomena refers to physical processes that are characteristic of surfaces and interfaces of materials and which arise as a consequence of the disruption of the atomic potential. In magnetic materials it affects strongly the magnetic anisotropy, critical behaviour, electron transport, spin wave spectra, etc; it gives rise to interface states in semiconductor and dielectric materials, surface plasmons, among other modified properties. Such effects are the basis of several important scientific and technological innovations. Functional materials are materials that exhibit electronic, optical or magnetic properties with potential for technological applications. They hold the promise for the development of next generation electronic devices and are the subject of much research effort presently. Examples of functional materials include complex oxides and multiferroics (characterised by coupling between two or more order parameters, magnetic, elastic and/or ferroelectric). A promising route to material functionalisation consists in combining dissimilar materials at the nanoscale in order to induce an interfacial coupling between the properties of the elemental parts (composite materials). Here too, the role of the interface, size scaling and the individual electronic characteristics of the individual material components are key to the onset of such coupling. Despite the continuous developments in our understanding of the mechanisms governing the behaviour of condensed matter, the range of gaps in our knowledge remains staggering. Indeed, while the rules of quantum mechanics are able to describe accurately the electronic behaviour of any atomic system, the complexity associated with the many-body problem precludes a complete knowledge of its properties. Developments in fabrication techniques, advances in instrumentation and the increasing ability to calculate the electronic structure of materials from first principles, ensure that new phenomena are discovered continuously. A new multidisciplinary approach to solving outstanding problems at both fundamental and applied levels has also stimulated the search for new physical phenomena and for novel materials with multifunctional properties. The study of the magnetic properties of thin films started in earnest in the 1970s following the development of deposition techniques by molecular beam epitaxy and the advent of an array of in situ crystallographic and spectroscopic characterization techniques. Thin film magnetism has long since matured into an active area of research, with important technological ramifications. Indeed, thin film magnetism has brought important contributions to our fundamental understanding of the physics of magnetism in tandem with critical applications in information technology, particularly evident since the discovery of the GMR effect and following its impact on computer read-head technology. If exchange energy is at the origin of magnetic order, favouring parallel alignment of the spins in the case of ferromagnetism, other important magnetic energy terms include the magnetic anisotropy term, which originates from the spin-orbit coupling (and is therefore a quantum relativistic effect) and the classical magnetostatic energy, both dipole-dipole and interaction with an external magnetic field. Although the strength of the exchange energy (~0.1 eV/atom) is much larger than the magnetostatic (~0.1 meV/atom) and magnetic anisotropy (~10 μeV/atom) energy terms, the latter two tend to be important in macroscopic samples with dimensions exceeding two characteristic length scales: the exchange length, below which exchange interactions dominate over the magnetostatic energy; and the domain wall width, below which exchange energy dominates over the magnetic anisotropy energy. Figure 1 exemplifies the effect of these magnetic energy terms on the spin configuration of ferromagnetic systems. Fig. 1. Effect of exchange (Ex), anisotropy (Anis) and magnetostatic (MS) energy terms on the spin configuration of ferromagnetic materials. In this context, ultrathin magnetic films are films whose thickness are of the order of, or below, the exchange length. Ultrathin magnetic films are uniformly magnetised along the direction perpendicular to the plane, and therefore behave like a single giant spin or magnetic moment. Hence, ferromagnetic (FM) ultrathin films interspaced by non-magnetic (NM) spacer layers of the form [FM/NM] can be thought of as the characteristic "building bricks" of multilayer structures. Among the topics of fundamental interest in thin film magnetism, the study of the magnetic anisotropy and of the magnetic moment are paramount. The magnetic anisotropy has been perhaps the most widely studied facet of thin film magnetism. It is a relativistic manifestation of the coupling between the electron spin and the orbital moment (spin-orbit coupling). Hence, modifications in the electronic structure at surfaces and interfaces are expected to lead to changes in the magnetic anisotropy. This includes structural contributions, such as strain, chemical intermixing and surface morphology (including atomic steps, islands, ridges, roughness, etc) and the effects of adsorbates, which can significantly modify the intrinsic electronic properties of the interface. These local interface effects can give rise to striking magnetic behaviour in ultrathin magnetic films, such as interface induced perpendicular magnetic anisotropy. The magnetic moment is the most fundamental quantity in magnetism, yet it is a very difficult quantity to measure in ultrathin films. Due to changes in electronic structure in reduced dimensions, the magnetic moment does not necessarily scale with the volume of the system. In fact, it is expected that as the physical dimensions of the system are reduced, the break in symmetry induces a localization of the wavefunction of those atoms closest to the interface. While the effect of this symmetry break on the magnetic anisotropy is very pronounced, the effect on the magnetic moment is in general smaller and more difficult to observe. Also, metastable crystal structures can be stabilized as thin films or small particles, which often exhibit magnetic moments which are different from those corresponding to the bulk equilibrium phase. For a recent review covering these topics, see Vaz et al, Magnetism in ultrathin film structures. Rep. Prog. Phys., 71:056501, 2008. The recent surge of discoveries in interfacial and nanoscale phenomena has been made possible by the ability to grow materials systems with unprecedented degrees of crystalline perfection and with atomic control over the crystal structure and material parameters. Such ability has emerged with the development of advanced thin film growth techniques, such as molecular beam epitaxy (MBE), magnetron sputtering, and pulsed-laser deposition, which have enabled the growth of materials that do not occur spontaneously in Nature and whose properties can be tailored at the atomic level. Among these techniques, molecular beam epitaxy is unrivalled in terms of control over the growth process and yields extremely high quality films. Its basic physical principle is very simple and transparent: the condensation from the vapour phase of a focused beam of a molecule or element onto a substrate surface, in conditions that may be far from equilibrium. Through a proper preparation of the substrate surface, the growth of crystalline films in registry with the substrate (epitaxy) is often possible. The growth environment in MBE, which typically operates with base pressures in the ultrahigh vacuum (UHV) range (~10-10 mbar), is well controlled, and compatible with a range of electron-based characterisation tools, such as low energy electron diffraction (LEED), reflection high energy electron diffraction (RHEED), x-ray and UV photoemission spectroscopy (XPS, UPS), and Auger electron spectroscopy (AES), which make possible the in situ characterisation of the film during or immediately after growth, without exposing the surface to air. 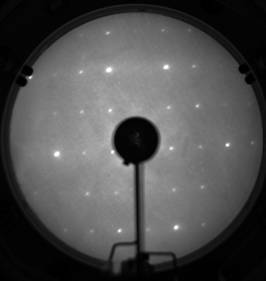 Because of the grazing incidence of measurement, RHEED is commonly used to monitor the growth process in real-time, including film crystallinity and film thickness (possible when the growth proceeds layer-by-layer and manifest in oscillations of the intensity of the diffracted electron beam with time). Further characteristics of MBE include the low kinetic energy of the arriving atoms or molecules (thermal energies), the ability to grow multi-element compounds from the elemental species, a precise control of the film stoichiometry, a good uniformity over large areas, and a unique control over the growth environment, for example, from UHV to the growth under molecular or atomic oxygen, to permitting minute exposures of the substrate to surfactants for controlling the growth process, in order to achieve atomically flat film surfaces. MBE is widely used for the growth of semiconductor heterostructures, where a stringent control over metal impurities and crystalline imperfections is critical for semiconductor device performance and where unrivaled degrees of crystalline perfection are routinely achieved. The growth of metals oxides by MBE is a particular case where film growth is carried out under oxidising conditions, in either molecular (O2, ozone) or atomic oxygen partial pressures. The functional properties of magnetic oxide materials have recently become the subject of renewed interest, as a consequence of several key properties exhibited by these systems, such as high spin polarisation, colossal magnetoresistance (CMR) and magnetoelectric coupling in multiferroic materials. These properties make complex oxides attractive candidates for applications in spintronic devices. In addition, complex oxides may hold the key to other technological challenges, such as high-κ dielectric materials as a replacement for silicon oxide transistor gates, and as a paradigm for next generation device technology. The potential of oxide materials for device applications stem from their wide range of functional properties. These include magnetism (in some cases coupled with large spin polarisation effects), large magnetotransport effects, and strong magneto-electric coupling effects. Such a rich mix of properties is a consequence of the strong electron-electron and electron-phonon correlations in these materials, which intimately link charge, spin and structural properties. Since many metallic elements can exist in more than one ionic state, several oxide compounds can be stabilised in different crystal structures, each with distinct electronic and magnetic properties. In addition, combining different materials into heterostructures opens a vast array of possibilities for new functional properties. The tremendous advances in surface science and in the controlled epitaxial growth of oxide materials has made possible the growth of ultrathin complex oxide films with degrees of crystalline perfection comparable to those that are achieved in semiconductors. In particular, the long-standing problem of interfacing metal oxides to silicon without the deleterious formation of silicon oxide or silicides has been largely solved, opening the exciting possibility of combining oxide-based devices with current silicon technology, including high-κ dielectric materials as a replacement for silicon dioxide in metal-on-insulator field-effect transistors (MOSFET) and the use of ferroelectric materials as memory elements; hybrid structures involving these materials have potential for spintronics devices and applications. Another active area of research deals with the interface properties of metal oxides. The oxides of the 3d transition metals form an important class of materials with properties that depend sensitively on the cationic oxidation state and the electronic environment. As a consequence, these compounds display a multiplicity of magnetic, electronic and catalytic behaviour that makes them interesting from both fundamental and practical perspectives. For example, the surface charge present in polar surfaces can lead to extended two-dimensional Bloch states that can cause the interface of two insulating oxides to become metallic. In particular, the ongoing trend towards controlling the electronic properties of materials at the nanoscale implies that, in addition to the development of methods for the fabrication and growth of high quality thin films, an understanding of the physical mechanisms underlying the properties of such systems at the atomic scale are key. One case of interest is that of cobalt which, like most 3d transition metal elements, can exist in more than one oxidation state. Of the two stable cobalt oxides, the mixed valence compound, Co2+Co3+2O4, is stable at ambient pressure and temperature and crystallizes in the spinel structure. 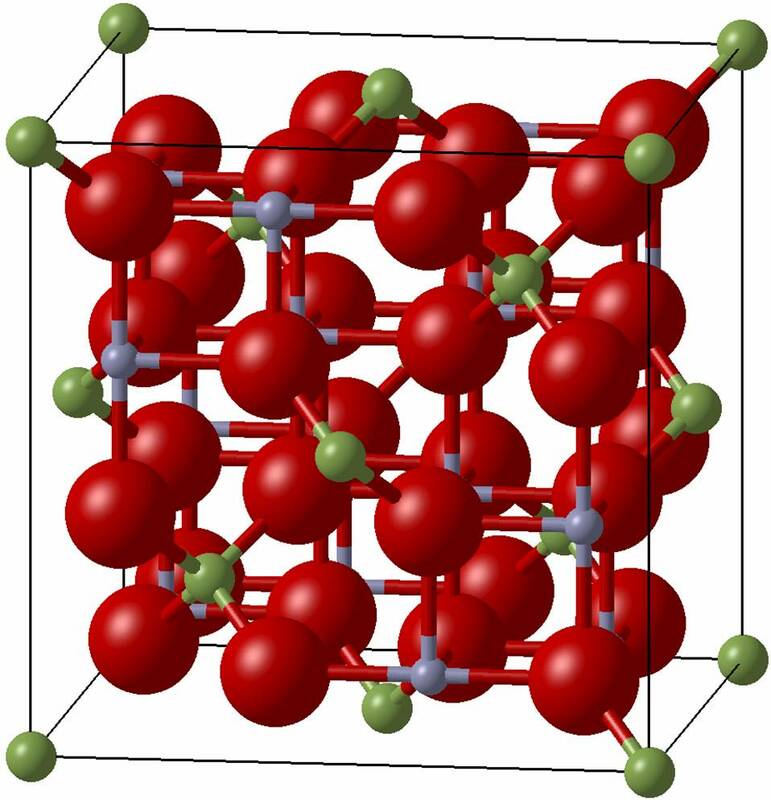 The surfaces and interfaces of Co3O4 are complicated by the fact that all the low index planes of the spinel structure are polar. Therefore, the clean, bulk-terminated crystal surfaces have divergent electrostatic surface energies due to a thickness-dependent electric dipole of the crystal. Charge compensation mechanisms that lead to a finite dipole may result in important modifications of the surface geometric and electronic structure, including changes in the valence state of surface ions, surface reconstructions, surface roughening and faceting, among others. One topical example of an electronic modification is the recent observation of metallic interface states in SrTiO3/LaAlO3 heterostructures, believed to originate from the polar discontinuity across the interface. The study of the surface and interface structure of polar oxides is therefore of great interest, and is likely to further our understanding of the physics of interfacial phenomena in metal oxides. For a recent review covering some of these topics, see Vaz et al, Intrinsic interfacial phenomena in manganite heterostructures. J. Phys. : Condens. Matter, 27:123001, 2015. One of the fundamental tenets of the classical theory of electromagnetism is the intimate link between magnetism and electricity, first uncovered by Oersted and developed in Faraday's seminal experiments demonstrating that electric currents generate magnetic fields, and also manifested in Faraday's law linking magnetic flux to the electromotive force. The discovery of such a link was one of the key clues that led to Maxwell's formulation of the equations bearing his name, and which almost magically describe all physical phenomena ruled by one of the four fundamental physical forces, the electromagnetic interaction. Such connection between magnetism and electricity has had a tremendous impact on technology. In the solid state, magnetism arises from the spin of the electron. The dominant force is the electrostatic Coulomb interaction, while magnetism is a second order, relativistic quantum mechanical effect associated with the spin of the electron and the Pauli exclusion principle. The coupling between charge and spin is relatively weak; the coupling that exists is largely a consequence of the relativistic spin-orbit coupling that links the electron spin to the field generated by the motion of the electron. Hence, most materials that order either electrically or magnetically exhibit a weak coupling between magnetic and electric properties. There is, however, a class of materials where such magnetoelectric coupling is found to be significant. In such compounds, application of a magnetic or electric field gives rise to the onset, or modification, of the electric and magnetic properties, respectively. A particularly interesting subset consists of those materials characterized by the simultaneous presence of, and a coupling between, the magnetic and electric order parameters, called magnetoelectric multiferroics. While initially discovered and studied several decades ago, there has been recently a renewed interest in this class of materials, stemming largely from the current search for novel multifunctional materials for next generation electronic devices that explore the control of the magnetic (spin) state via electric fields and/or vice versa, with potential for spintronic devices, solid-state transformers, high sensitivity magnetic field sensors, and electromagnetooptic actuators. While the small magnetoelectric coupling in single-phase multiferroic materials hampered initial developments in this field, alternative approaches have been developed that explore proximity and interfacial effects between dissimilar materials (magnetic and ferroelectric) to form composite structures with enhanced coupling between electric and magnetic properties. By judiciously engineering the interfacial properties at the nanoscale, a strong coupling between magnetic and ferroelectric order parameters can be achieved, as illustrated in Fig. 1. This new class of artificially structured composite materials exhibits magnetoelectric couplings that are orders of magnitude larger that those typical of single-phase, intrinsic multiferroics. Fig. 1. Novel composite multiferroic heterostructures are characterised by exhibiting a coupling between the classical magnetic (a) and ferroelectric (b) ferroic responses, leading to magnetoelectric coupling between order parameters (c). While the M-H and P-E loops are standard, the M-E characteristic is completely new. The example shown is for a PZT/La0.8Sr0.2MnO3 composite multiferroic heterostructure. For recent reviews on this topic, see Vaz, Electric field control of magnetism in multiferroic heterostructures, J. Phys. : Condens. 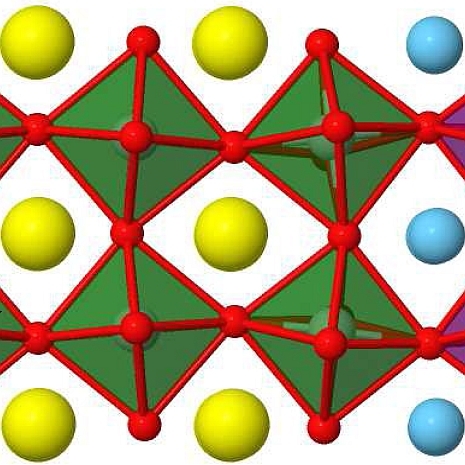 Matter, 24:333201, 2012 and also Vaz et al, Magnetoelectric coupling effects in multiferroic complex oxide composite structures, Advanced Materials, 22:2900, 2010. The development of new characterization techniques with enhanced sensitivities, spatial resolutions down to the atomic scale, and temporal resolutions down to the femtosecond (fs) regime have been instrumental to our understanding of the physical processes governing strongly correlated systems and to the discovery of new physical phenomena with potential for applications. In particular, synchrotron x-ray based techniques, such as scattering and electronic and magnetic spectroscopies have proved invaluable in the characterization of materials at the nanoscale. Techniques such as resonant x-ray scattering, absorption and photoemission spectroscopies, and x-ray magnetic circular and linear dichroism (XMCD and XMLD, respectively), including photoelectron emission microscopy (PEEM), scanning x-ray transmission microscopy (STXM), and x-ray holography allow one to obtain electronic, magnetic and lattice information of materials with spacial resolutions down to the nm; the time structure of x-ray synchrotron light, generated in pulses with widths of the order of tens of ps, can be employed for studying physical processes in the time domain with the advantages inherent to x-rays, such as element specificity and high sensitivity. In addition, the recent availability of free electron laser (FEL) sources providing highly coherent x-ray beams with pulse duration down to a few fs, also open the possibility of exploring electronic phenomena that occur at the electron hopping time scale with atomic resolution. D. Leanza, M. Mirolo, C. A. F. Vaz, P. Novak, M. El Kazzi. Surface degradation and Chemical Electrolyte Oxidation Induced by the Oxygen Released from Layered Oxide Cathodes in Li-Ion Batteries. Batteries & Supercaps, in press, 2019. J. Mendil, M. Trassin, Q. Bu, J. Schaab, M. Baumgartner, C. Murer, P.T. Dao, Vijayakumar, D. Bracher, C. Bouillet, C. A. F. Vaz, M. Fiebig, and P. Gambardella. Magnetic properties and domain structure of ultrathin iron garnet/Pt bilayers. Phys. Rev. Materials, 3:034403, 2019. J. Vijayakumar, D. Bracher, T. M. Savchenko, M. Horisberger, F. Nolting, C. A. F. Vaz. Electric field control of magnetism in Si3N4 gated Pt/Co/Pt heterostructures. J. Appl. Phys., 125:114101, 2019. D. Leanza, C. A. F. Vaz, P. Novak, M. El Kazzi. Revealing the Dual Surface Reaction on a HE-NCM Li-ion Battery Cathode and their Impact on the Counter Electrode. ACS Applied Materials & Interfaces, 11:6054, 2019. C. Dornes, Y. Acremann, M. Savoini, M. Kubli, M. J. Neugebauer, E. Abreu, L. Huber, G. Lantz, C. A. F. Vaz, H. Lemke, E. M. Bothschafter, M. Porer, V. Esposito, L. Rettig, M. Buzzi, A. Alberca, Y. . Windsor, P. Beaud, U. Staub, D. Zhu, S. Song, J. M. Glownia, S. L. Johnson. The Ultrafast Einstein-De Haas Effect. Nature, 565:209, 2019. E-print available at: arXiv:1804.07159 [cond-mat.str-el], 2018. A. D. Bang, F. K. Olsen, S. D. Slöetjes, A. Scholl, S. T. Retterer, C. A. F. Vaz, T. Tybell, E. Folven, and J. K. Grepstad. Magnetic domain formation in ultrathin complex oxide ferromagnetic/antiferromagnetic bilayers. Appl. Phys. Lett., 113:132402, 2018. K. Buehlmann, R. Gort, G. Salvatella, S. Daester, A. Fognini, T. Baehler, C. Dornes, C. A. F. Vaz, A. Vaterlaus, and Y. Acremann. Ultrafast demagnetization in iron: Separating effects by their nonlinearity. Structural Dynamics, 5:044502, 2018. J. Krempaský, S.Muff, J. Minár, N. Pilet, M. Fanciulli, A. P. Weber, V. V. Volobuiev, M. Gmitra, C. A. F. Vaz, V. Scagnoli, G. Springholz, J. H. Dil. Operando imaging of all-electric spin texture manipulation in ferroelectric and multiferroic Rashba semiconductors. Phys. Rev. X, 8:021067, 2018. E-print available at: arXiv:1707.08431 [cond-mat.mtrl-sci]. H. Wu, I. Sudoh, R. Xu, W. Si, C. A. F. Vaz, J.-Y. Kim, G. Vallejo-Fernandez and A. Hirohata. Large exchange bias induced by polycrystalline Mn3Ga antiferromagnetic films with controlled layer thickness. J.Phys. D: Appl. Phys., 51:215003, 2018. C. A. F. Vaz, C. Piamonteze, A. Kleibert. Enhanced mobility of iron nanoparticles deposited onto a xenon-buffered substrate. J. Magn. Magn. Mater., 459:2, 2018. P. Helfenstein, R. Rajeev, I. Mochi, A. Kleibert, C. A. F. Vaz, Y. Ekinci. Partial probe coherence effects in EUV reflective-mode ptychographical image reconstruction. Optics Express, 26:325789, 2018. D. Leanza, C. A. F. Vaz, I. Czekaj, P. Novak, and M. El Kazzi. Solving the puzzle of Li4Ti5O12 surface reactivity in aprotic electrolytes in Li-ion batteries by nanoscale XPEEM spectromicroscopy. J. Mater. Chem. A, 6:3534, 2018. M.-A. Husanu and C. A. F. Vaz. Spectroscopic characterisation of multiferroic interfaces. In Spectroscopy of Complex Oxide Interfaces, C. Cancellieri and V. Strocov (eds. ), pp. 245-281. Springer Series in Materials Science 266. Springer-Verlag, 2018. W. Saenrang, B. A. Davidson, F. Maccherozzi, J. P. Podkaminer, J. Irwin, R. D. Johnson, J. W. Freeland, J. Iniguez, J. Schad, K. Reierson, J. C. Frederick, C. A. F. Vaz, L. Howald, T.-H. Kim, S. Ryu, M. Veenendaal, P. G. Radaelli, S. S. Dhesi, M. S. Rzchowski, and C. B. Eom. Deterministic and robust room-temperature exchange coupling in monodomain multiferroic BiFeO3 heterostructures. Nature Communications, 8:1583, 2017. N. Reyren, K. Bouzehouane, J.-Y. Chauleau, S. Collin, A. Fert, S. Finizio, K. Garcia, N. Jaouen, W. Legrand, D. Maccariello, S. McFadze, S. McVitie, C. Moutafis, H. Popescu, J. Raabe, C. A. F. Vaz, and V. Cros. Skyrmions in magnetic multilayers: chirality, electrical detection and current-induced motion. Proc. of SPIE, 10357:1035724, 2017. G. Tinti, H. Marchetto, C. A. F. Vaz, A. Kleibert, M. Andrä, R. Barten, A. Bergamaschi, M. Brückner, S. Cartier, R. Dinapoli, E. Fröjdh, D. Greiffenberg, C. Lopez-Cuenca, D. Mezza, A. Mozzanica, F. Nolting, M. Ramilli, S. Redford, M. Ruat, Ch. Ruder, L. Schädler, Th. Schmidt, B. Schmitt, F. Schütz, X. Shi, D. Thattil, S. Vetter, and J. Zhang. The EIGER detector for low-energy electron microscopy and photoemission electron microscopy. Journal of Synchrotron Radiation, 24:963, 2017. N. S. Bingham, A. K. Suszka, C. A. F. Vaz, H. Kim, and L. J. Heyderman. Interfacial room temperature magnetism and enhanced magnetocaloric effect in strained La0.66Ca0.33MnO3/BaTiO3 heterostructures. Phys. Rev. B, 96:024419 , 2017. A. Kleibert, A. Balan, R. Yanes, P. M. Derlet, C. A. F. Vaz, M. Timm, A. F. Rodríguez, A. Béché, J. Verbeeck, R. S. Dhaka, M. Radovic, U. Nowak, F. Nolting. Direct observation of enhanced magnetism in individual size- and shape-selected 3d transition metal nanoparticles. Phys. Rev. B, 95:195404, 2017. E-print available at: arXiv:1702.03710 [cond-mat.mes-hall]. M. Kozina, M. Pancaldi, C. Bernhard, S. Bonetti, T. van Driel, J.M. Glownia, P. Marsik, M. Radovic, U. Staub, C. A. F. Vaz, D. Zhu, and M.C. Hoffmann. Local terahertz field enhancement for time-resolved x-ray diffraction. Appl. Phys. Lett., 110:081106, 2017. E-print available at: arXiv:1701.09161 [physics.ins-det]. D. Erdem, N. S. Bingham, F. J. Heiligtag, N. Pilet, P. Warnicke, C. A. F. Vaz, Y. Shi, M. Buzzi, J. L.M. Rupp, L. J. Heyderman, M. Niederberger. Nanoparticle-based magnetoelectric BaTiO3-CoFe2O4 thin film heterostructures for voltage control of magnetism. ACS Nano, 10:9840, 2016. C. Moreau-Luchaire, C. Moutafis, N. Reyren, J. Sampaio, C. A. F. Vaz, N. Van Horne, K. Bouzehouane, K. Garcia, C. Deranlot, P. Warnicke, P. Wohlhueter, J.-M. George, M. Weigand, J. Raabe, V. Cros, and A. Fert. Additive interfacial chiral interaction in multilayers for stabilization of small individual skyrmion at room temperature. Nature Nanotechnology, 11:444, 2016. E-print available at: arXiv:1607.02958 [cond-mat.mtrl-sci]. S. Zihlmann, P. Makk, C. A. F. Vaz, C. Schoenenberger. Role of hexagonal boron nitride in protecting ferromagnetic nanostructures from oxidation 2D Materials, 3:011008, 2016. A. Balan, A. Fraile Rodriguez, C. A. F. Vaz, A. Kleibert, and F. Nolting. Effect of substrate interface on the magnetism of iron nanoparticles. Ultramicroscopy, 159:513, 2015. C. A. F. Vaz and U. Staub. Magnetoelectronics—electric field control of magnetism in the solid state. J. Phys. : Condens. Matter, 27:500301, 2015. M. Buzzi, C. A. F. Vaz, J. Raabe, and F. Nolting. Electric field stimulation set-up for photoemission electron microscopes. Rev. Sci. Instrum. 86:083702, 2015. F. Buettner, C. Moutafis, M. Schneider, B. Krueger, C. M. Guenther, J. Geilhufe, C. v. Korff Schmising, J. Mohanty, B. Pfau, S. Schaffert, M. Foerster, T. Schulz, C. A. F. Vaz, J. Franken, H. J. M. Swagten, M. Klaeui, and S. Eisebitt. Dynamics and inertia of skyrmionic spin structures. Nature Physics, 11:225, 2015. C. A. F. Vaz, F. J. Walker, C. H. Ahn, and S. Ismail-Beigi. Intrinsic interfacial phenomena in manganite heterostructures. J. Phys. : Condens. Matter, 27:123001, 2015. C. A. F. Vaz, A. Balan, F. Nolting, and A. Kleibert. In situ magnetic and electronic investigation of the early stage oxidation of Fe nanoparticles using x-ray photo-emission electron microscopy. PCCP, 16:26624, 2014. S. Finizio, M. Foerster, B. Krueger, C. A. F. Vaz, T. Miyawaki, M. A. Mawass, L. Pena, L. Mechin, S. Huehn, V. Moshnyaga, F. Buettner, A. Bisig, L. Le Guyader, S. El Moussaoui, S. Valencia, F. Kronast, S. Eisebitt, and M. Klaeui. Domain wall transformations and hopping in La0.7Sr0.3MnO3 nanostructures imaged with high resolution x-ray magnetic microscopy. J. Phys. : Condens. Matter, 26:456003, 2014. C. A. F. Vaz, J. A. Moyer, D. A. Arena, C. H. Ahn, and V. E. Henrich. Magnetic and electronic structure of ultrathin La1-xSrxMnO3 films at half doping. Phys. Rev. B, 90:024414, 2014. M. Foerster, L. Pena, C. A. F. Vaz, J. Heinen, S. Finizio, T. Schulz, A. Bisig, F. Buettner, S. Eisebitt, L. Mechin, S. Huehn, V. Moshnyaga, and M. Klaeui Efficient spin transfer torque in La2/3Sr1/3MnO3 nanostructures. Appl. Phys. Lett., 104:072410, 2014. S. Finizio, M. Foerster, M. Buzzi, B. Krueger, M. Jourdan, C. A. F. Vaz, J. Hockel, T. Miyawaki, A. Tkach, S. Valencia, F. Kronast, G. P. Carman, F. Nolting, and M. Kläui. Magnetic anisotropy engineering in thin film Ni nanostructures by magnetoelastic coupling. Phys. Rev. Appl., 1:021001, 2014. F. Buettner, M. Schneider, C. M. Guenther, C. A. F. Vaz, B. Laegel, D. Berger, S. Selve, M. Klaeui, and S. Eisebitt. Automatable sample fabrication process for pump-probe X-ray holographic imaging. Optics Express, 21:30563, 2013. S. Finizio, M. Foerster, C. A. F. Vaz, C. Mix, M. Mawass, A. Tkach, M. Kläui, M. Buzzi, F. Nolting, T. Miyawaki, J. Hockel, G. P. Carman, S. Valencia, and F. Kronast. Electrical-field control of magnetism mediated by strain in Ni nanostructures fabricated on pre-poled PMN-PT(011). SPIN, 3:1340008, 2013. C. A. F. Vaz and U. Staub. Artificial multiferroic heterostructures. J. Mater. Chem. C, 1: 6731, 2013. T. Miyawaki, M. Foerster, S. Finizio, C. A. F. Vaz, M.-A. Mawass, K. Inagaki, N. Fukatani, L. Le Guyader, F. Nolting, K. Ueda, H. Asano, and M. Kläui. The effect of magnetocrystalline anisotropy on the domain structure of patterned Fe2CrSi Heusler alloy thin films. J. Appl. Phys., 114:073905, 2013. J. A. Moyer, D. P. Kumah, C. A. F. Vaz, D. A. Arena, and V. E. Henrich. Role of epitaxial strain on the magnetic structure of Fe-doped CoFe2O4. J. Magn. Magn. Mater., 345:180, 2013. C. A. F. Vaz, C. Moutafis, M. Buzzi, and J. Raabe. X-ray excited optical luminescence of metal oxide single crystals. J. Electron Spectroscopy Rel. Phenom., 189:1, 2013. P. Wohlhuter, J. Rhensius, C. A. F. Vaz, J. Heidler, H. S. Korner, A. Bisig, M. Foerster, L. Mechin, F. Gaucher, A. Locatelli, M. A. Nino, S. El Moussaoui, F. Nolting, E. Goering, L. J. Heyderman, and M. Klaui. Role of the magnetic anisotropy on the spin configurations of patterned La0.7Sr0.3MnO3 elements. J. Phys. : Condens. Matter, 25:176004, 2013. J. Heidler, J. Rhensius, C. A. F. Vaz, P. Wohlhüter, H. S. Körner, A. Bisig, S. Schweitzer, A. Farhan, L. Mechin, L. Le Guyader, F. Nolting, A. Locatelli, T. O. Mentes, M. A. Nino, F. Kronast, L. J. Heyderman, and M. Kläui. Control of the magnetization in pre-patterned half-metallic La0.7Sr0.3MnO3 nanostructures. J. Appl. Phys., 112:103921, 2012. J. A. Moyer, C. A. F. Vaz, D. P. Kumah, D. A. Arena, and V. E. Henrich. Enhanced magnetic moment in ultrathin Fe-doped CoFe2O4 films. Phys. Rev. B, 86:174404, 2012. C. A. F. Vaz, C. Moutafis, C. Quitmann, and J. Raabe. Luminescence-based magnetic imaging with scanning x-ray transmission microscopy. Appl. Phys. Lett., 101:083114, 2012. C. A. F. Vaz. Electric field control of magnetism in multiferroic heterostructures. J. Phys. : Condens. Matter, 24:333201, 2012. J. A. Moyer, D. Kumah, C. A. F. Vaz, D. A. Arena, and V. E. Henrich. Epitaxial strain-induced changes in the cation distribution and resistivity of Fe-doped CoFe2O4. Appl. Phys. Lett., 101:021907, 2012. C. A. F. Vaz, J. Rhensius, J. Heidler, P. Wohlhueter, A. Bisig, H. S. Koerner, T. O. Mentes, A. Locatelli, L. Le Guyader, F. Nolting, T. Graf, C. Felser, L. J. Heyderman, and M. Klaeui. Spin configurations in Co2FeAl0.4Si0.6 Heusler alloy thin film elements. Appl. Phys. Lett., 99:182510, 2011. E-print available at: arXiv:1209.2702 [cond-mat.mtrl-sci]. N. Naftalis, M. Schultz, A. Kaplan, C. A. F. Vaz, J. A. Moyer, C. H. Ahn, and L. Klein. Field-dependent anisotropic magnetoresistance and planar Hall effect in epitaxial thin films of magnetite. Phys. Rev. B, 84: 094441, 2011. E-print available at: arXiv:1109.5828v1 [cond-mat.str-el]. D. Su, Q. Meng, C. A. F. Vaz, M.-G. Han, Y. Segal, F. J. Walker, M. Sawicki, C. Broadbridge, and C. H. Ahn. Origin of 90o domain wall pinning in Pb(Zr0.2Ti0.8)O3 heteroepitaxial thin films. Appl. Phys. Lett., 99:102902, 2011. Y. Segal, K. F. Garrity, C. A. F. Vaz, J. D. Hoffman, F. J. Walker, S. Ismail-Beigi, and C. H. Ahn. Dynamic evanescent phonon coupling across the La1-xSrxMnO3/SrTiO3 interface. Phys. Rev. Lett., 107:105501, 2011. E-print available at: arXiv:1102.4048v2 [cond-mat.mtrl-sci]. F. Büttner, K. Zhang, S. Seyffarth, T. Liese, H.-U. Krebs, C. A. F. Vaz, and H. Hofsäss. Thickness dependence of the magnetic properties of ripple-patterned Fe/MgO(001) films. Phys. Rev. B, 84:064427, 2011. J. A. Moyer, C. A. F. Vaz, D. A. Arena, D. Kumah, and V. E. Henrich. X-ray magnetic linear and circular dichroism of Fe-doped CoFe2O4. Phys. Rev. B, 84:054447, 2011. J. Rhensius, C. A. F. Vaz, A. Bisig, S. Schweitzer, J. Heidler, H. S. Körner, A. Locatelli, M. A. Niño, M. Weigand, L. Mechin, F. Gaucher, E. Goering, L. J. Heyderman, and M. Kläui. Control of spin configuration in half-metallic La0.7Sr0.3MnO3 nano-structures. Appl. Phys. Lett., 99:062508, 2011. C. A. F. Vaz and C. H. Ahn. Ferroelectric Field Effect Control of Magnetism in Multiferroic Heterostructures. In M. Lallart (Ed. ), Ferroelectrics - Physical effects, p.329-346. Intech, 2011. C. A. F. Vaz, J. Hoffman, Y. Segal, M. S. J. Marshall, J. W. Reiner, Z. Zhang, R. D. Grober, F. J. Walker, C. H. Ahn. Control of magnetism in Pb(Zr0.2Ti0.8)O3/La0.8Sr0.2MnO3 multiferroic heterostructures. J. Appl. Phys., 109:07D905, 2011. J. A. Moyer, C. A. F. Vaz, E. N. Rosario, D. A. Arena, and V. E. Henrich. Controlling the electronic structure of Co1-xFe2+xO4 thin films through iron doping. Phys. Rev. B., 83:035121, 2011. C. A. F. Vaz, J. Hoffman, Y. Segal, F. J. Walker, C. H. Ahn. Electrostatic control of magnetism in all-oxide multiferroic heterostructures. Proc. of SPIE, 7760:776013, 2010. C. A. F. Vaz, Y. Segal, J. Hoffman, R. D. Grober, F. J. Walker, C. H. Ahn. Temperature dependence of the magnetoelectric effect in Pb(Zr0.2Ti0.8)O3/La0.8Sr0.2MnO3 multiferroic heterostructures. Appl. Phys. Lett., 97:042506, 2010. C. A. F. Vaz, Y. Segal, J. Hoffman, F. J. Walker, C. H. Ahn. Growth and characterization of PZT/LSMO multiferroic heterostructures. J. Vac. Sci. Technol. B, 28:C5A6, 2010. C. A. F. Vaz, J. Hoffman, C. H. Ahn, R. Ramesh. Magnetoelectric coupling effects in multiferroic complex oxide composite structures. Advanced Materials, 22:2900, 2010. C. A. F. Vaz, C. H. Ahn, and V. E. Henrich. Spin-polarisation effects in oxide materials. In A. Hirohata and Y. Otani, editors, Epitaxial ferromagnetic films and spintronic applications, p.145-185. Research Signpost, 2009. H. J. A. Molegraaf, J. Hoffman, C. A. F. Vaz, S. Gariglio, D. van der Marel, C. H. Ahn, and J.-M. Triscone. Magnetoelectric effects in complex oxides with competing ground states. Advanced Materials, 21:3470, 2009. G. Lauhoff, C. A. F. Vaz, and J. A. C. Bland. Structure and magnetic properties of Ni/Cu/Fe/MgO(001) films. J. Phys. : Condens. Matter, 21:156002, 2009. C. A. F. Vaz, J. A. C. Bland, and G. Lauhoff. Magnetism in ultrathin film structures. Rep. Prog. Phys., 71:056501, 2008. E. Mengotti, L. J. Heyderman, F. Nolting, B. R. Craig, J. N. Chapman, L. Lopez-Diaz, R. J. Matelon, U. Volkmann, M. Kläui, U. Rüdiger, C. A. F. Vaz, and J. A. C. Bland. Easy axis magnetization reversal in cobalt antidot arrays. J. Appl. Phys., 103: 07D509, 2008. M. Laufenberg, M. Kläui, D. Backes, W. Bührer, H. Ehrke, D. Bedau, U. Rüdiger, F. Nolting, L. J. Heyderman, S. Cherifi, A. Locatelli, R. Belkhou, S. Heun, C. A. F. Vaz, J. A. C. Bland, T. Kasama, R. E. Dunin-Borkowski, A. Pavlovska, and E. Bauer. Domain wall spin structures in 3d metal ferromagnetic nanostructures. Adv. in Solid State Phys., 46: 281, 2008. F. van Belle, C. A. F. Vaz, J. A. C. Bland. Oscillatory interlayer coupling in bcc Co75Fe25/Au and fcc Co75Fe25/Cu multilayers. Phys. Rev. B., 76:184411, 2007. C. Moutafis, S. Komineas, C. A. F. Vaz, J. A. C. Bland, T. Shima, T. Seki, and K. Takanashi. 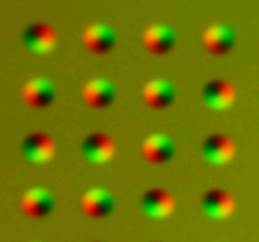 Magnetic monobubbles in FePt nanodots. Phys. Rev. B, 74:214406, 2007. D. Backes, C. Schieback, M. Kläui, F. Junginger, H. Ehrke, P. Nielaba, U. Rüdiger, L. J. Heyderman, C. Chen, T. Kasama, R. E. Dunin-Borkowski, C. A. F. Vaz, J. A. C. Bland. Transverse Domain Walls in Nanoconstrictions. Appl. Phys. Lett., 91:112502, 2007. M. Kläui and C. A. F. Vaz. Magnetisation configurations and reversal in small magnetic elements. In H. Kronmüller and S. Parkin, editors, Handbook of Magnetism and Advanced Magnetic Materials, Volume 2: Micromagnetism, p. 879. John Wiley & Sons, 2007. S. J. Steinmuller, C. A. F. Vaz, V. Ström, C. Moutafis, C. M. Gürtler, M. Kläui, J. A. C. Bland, and Z. Cui. Effect of substrate roughness on the magnetic properties of thin fcc Co films. Phys. Rev. B, 76:054429, 2007. C. A. F. Vaz, T. J. Hayward, J. Llandro, F. Schackert, D. Morecroft, J. A. C. Bland, M. Kläui, M. Laufenberg, D. Backes, U. Rüdiger, F. J. Castaño, C. A. Ross, L. J. Heyderman, F. Nolting, A. Locatelli, G. Faini, S. Cherifi, and W. Wernsdorfer. Ferromagnetic nanorings. J. Phys. : Condens. Matter, 19: 255207, 2007. S. J. Steinmuller, C. A. F. Vaz, V. Ström, C. Moutafis, C. M. Gürtler, M. Kläui, J. A. C. Bland, and Z. Cui. Influence of substrate roughness on the magnetic properties of thin fcc Co films. J. Appl. Phys., 101:09D113, 2007. D. Bedau and M. Kläui and U. Rüdiger, C. A. F. Vaz, J. A. C. Bland, G. Faini, L. Vila and W. Wernersdorfer. Angular dependence of the depinning field for head-to-head domain walls at constrictitions. J. Appl. Phys., 101:09F509, 2007. C. A. F. Vaz, S. J. Steinmuller, and J. A. C. Bland. Roughness-induced variation of magnetic anisotropy in ultrathin epitaxial films: The undulating limit. Phys. Rev. B, 75:132402, 2007. C. A. F. Vaz, G. Lauhoff, J. A. C. Bland, S. Langridge, D. Bucknall, J. Penfold, J. Clarke, S. K. Halder, and B. K. Tanner. Interface dependent magnetic moments in Cu/Co,Ni/Cu/Si(001) epitaxial structures. J. Magn. Magn. Mater., 313:89, 2007. F. Junginger, M. Kläui, D. Backes, U. Rüdiger, T. Kasama, R. E. Dunin-Borkowski, L. J. Heyderman, C. A. F. Vaz, and J. A. C. Bland. Spin torque and heating effects in current-induced domain wall motion probed by transmission electron microscopy Appl. Phys. Lett., 90:132506, 2007. C. A. F. Vaz, S. J. Steinmuller, C. Moutafis, J. A. C. Bland, and A. Yu. Babkevich. Structural and morphological characterisation of hybrid Cu/Si(001) structures. Surface Science, 601:1377, 2007. P. Dagras, M. Kläui, M. Laufenberg, L. Vila, G. Faini, C. A. F. Vaz, J. A. C. Bland, and U. Rüdiger. The influence of thermal excitations and the intrinsic temperature dependence of the spin torque effect in current induced domain wall motion. J. Phys. D: Appl. Phys., 40:1247, 2007. M. Laufenberg, W. Bührer, D. Bedau, P.-E. Melchy, M. Kläui, U. Rüdiger, L. Vila, G. Faini, C. A. F. Vaz, and J. A. C. Bland. Temperature dependence of the spin torque effect in current-induced domain wall motion. Phys. Rev. Lett., 97:046602, 2006. C. Moutafis, S. Komineas, C. A. F. Vaz, J. A. C. Bland, and P. Eames. Vortices in ferromagnetic particles with perpendicular anisotropy. Phys. Rev. B, 74:214406, 2006. J. B. Laloë, F. van Belle, A. Ionescu, C. A. F. Vaz, M. Tselepi, G. Wastlbauer, R. M. Dalgliesh, S. Langridge, and J. A. C. Bland. Room temperature study of the magnetic moment of ultra-thin Fe films of InAs(100) and GaAs(100). IEEE Trans. Magn., 42:2933, 2006. F. van Belle, W. S. Lew, C. A. F. Vaz, and J. A. C. Bland. Coercivity and switching field engineered magnetic multilayers for 3D patterned media. IEEE Trans. Magn., 42:2957, 2006. M. Kläui, M. Laufenberg, L. Heyne, D. Backes, Rüdiger, C. A. F. Vaz, J. A. C. Bland, L. J. Heyderman, S. Cherifi, A. Locatelli, T. O. Mentes, and L. Aballe. Current-induced vortex nucleation and annihilation in vortex domain walls. Appl. Phys. Lett., 88:232507, 2006. L. J. Heyderman, F. Nolting, D. Backes, S. Czekaj, L. López-Díaz, M. Kläui, U. Rüdiger, C. A. F. Vaz, J. A. C. Bland, R. J.Matelon, U. Volkmann, and P. Fischer. Magnetization reversal in cobalt antidot arrays. Phys. Rev. B, 73:214429, 2006. M. Laufenberg, D. Backes, H. Ehrke, D. Bedau, M. Kläui, U. Rüdiger, C. A. F. Vaz, J. A. C. Bland, T. Kasama, R. E. Dunin-Borkowski, L. J. Heyderman, F. Nolting, E. Bauer, S. Cherifi, S. Heun, and A. Locatelli. Quantitative determination of domain wall coupling. Appl. Phys. Lett., 88:212510, 2006. D. Backes, L. J. Heyderman, C. David, R. Sch?ublin, M. Kläui, H. Ehrke, U. Rüdiger, C. A. F. Vaz, J. A. C. Bland, T. Kasama, and R. E. Dunim-Borkowski. Fabrication of curved-line nanostructures on membranes for transmission electron microscopy investigations of domain walls. Microelectronic Engineering, 83:1726, 2006. M. Kläui, U. Rüdiger, C. A. F. Vaz, J. A. C. Bland, S. Cherifi, A. Locatelli, S. Heun, A. Pavlovska, E. Bauer, and L. J. Heyderman. Magnetic states in wide annular structures. J. Appl. Phys., 99:08G308, 2006. C. A. F. Vaz, M. Kläui, J. A. C. Bland, L. J. Heyderman, C. David, and F. Nolting. Fundamental magnetic states of disk and ring elements. Nucl. Instr. and Meth. in Phys. Res. B, 246:13, 2006. C. Thirion, W. Wernsdorfer, M. Kläui, C. A. F. Vaz, H. Ahmed, J. A. C. Bland, and D. Mailly. Anisotropy engineering in Co nanodiscs fabricated using prepratterned silicon pillars. Nanotechnology, 17:1960, 2006. I. Neudecker, M. Kläui, K. Perzlmaier, D. Backes, L. J. Heyderman, C. A. F. Vaz, J. A. C. Bland, U. Rüdiger, and C. H. Back. Spatially resolved dynamic eigenmode spectrum of Co rings. Phys. Rev. Lett., 96:057207, 2006. M. Laufenberg, D. Backes, W. B?hrer, D. Bedau, M. Kläui, U. Rüdiger, C. A. F. Vaz, J. A. C. Bland, L. J. Heyderman, F. Nolting, S. Cherifi, A. Locatelli, R. Belkhou, S. Heun, and E. Bauer. Observation of thermally activated domain wall transformations. Appl. Phys. Lett., 88:052507, 2006. C. A. F. Vaz, C. Athanasiou, J. A. C. Bland, and G. Rowlands. Energetics of magnetic ring and disk elements: uniform versus vortex state. Phys. Rev. B, 73:054411, 2006. C. A. F. Vaz, M. Kläui, L. J. Heyderman, C. David, F. Nolting, and J. A. C. Bland. Multiplicity of magnetic domain-states in circular elements probed by photoemission electron microscopy. Phys. Rev. B, 72:224426, 2005. M. Kläui, H. Ehrke, U. Rüdiger, C. A. F. Vaz, J. A. C. Bland, T. Kasama, R. E. Dunin- Borkowski, D. Backes, L. J. Heyderman, G. Faini, and W. Wernsdorfer. Direct observation of domain wall pinning at nanoscale constrictions. Appl. Phys. Lett., 87:102509, 2005. M. Kläui, C. A. F. Vaz, J. A. C. Bland, W. Wernsdorfer, G. Faini, E. Cambril, L. J. Heyderman, F. Nolting, and U. Rüdiger. Controlled and reproducible domain wall displacement by current pulses injected into ferromagnetic ring structures. Phys. Rev. Lett., 94:106601, 2005. C. A. F. Vaz, A. Ionescu, T. Trypiniotis, J. A. C. Bland, R. M. Dalgliesh, and S. Langridge. Magnetic properties of Fe/AlOx/GaAs(001) structures. J. Appl. Phys., 97:10J119, 2005. M. Kläui, C. A. F. Vaz, J. A. C. Bland, and L. J. Heyderman. Domain wall coupling and collaborative switching in interacting mesoscopic ring magnet arrays. Appl. Phys. Lett., 86:032504, 2005. L. J. Heyderman, M. Kläui, R. Sch?ublin, U. Rüdiger, C. A. F. Vaz, J. A. C. Bland, and C. David. Fabrication of magnetic ring structures for Lorentz electron microscopy. J. Magn. Magn. Mater., 290-291:86, 2005. M. Kläui, C. A. F. Vaz, L. J. Heyderman, U. Rüdiger, and J. A. C. Bland. Spin switching phase diagram of mesoscopic ring magnets. J. Magn. Magn. Mater., 290-291:61, 2005. A. Ionescu, C. A. F. Vaz, T. Trypiniotis, H. García-Miquel, C. M. Gürtler, J. A. C. Bland, M. E. Vickers, R. M. Dalgliesh, S. Langridge, Y. Bugoslavsky, Y. Miyoshi, L. F. Cohen, and K. R. A. Ziebeck. Study on the structural, magnetic, electronic and spin transport properties of thin Fe3Si/GaAs(001) films. Phys. Rev. B, 71:094401, 2005. A. Ionescu, C. A. F. Vaz, T. Trypiniotis, C. M. Gürtler, M. E. Vickers, H. García- Miquel, and J. A. C. Bland. Magnetic and structural properties of stoichiometric thin Fe3Si/GaAs(001) films. J. Magn. Magn. Mater., 286:72, 2005. J. A. C. Bland and C. A. F. Vaz. Polarised neutron reflection studies of thin magnetic films. In J. A. C. Bland and B. Heinrich, editors, Ultrathin Magnetic Structures III, page 233. Springer-Verlag, Berlin, 2005. M. Kläui, C. A. F. Vaz, J. A. C. Bland, and L. J. Heyderman, Nolting, A. Pavlovska, E. Bauer, S. Cherifi, S. Heun, and A. Locatelli. Head-to-head domain-wall phase diagram in mesoscopic ring magnets. Appl. Phys. Lett., 85:5637, 2004. M. Kläui, C. A. F. Vaz, J. A. C. Bland, L. J. Heyderman, C. David, E. H. C. P. Sinnecker, and A. P. Guimarães. Multistep switching phase diagram of ferromagnetic ring structures. J. Appl. Phys., 95:6639, 2004. L. J. Heyderman, M. Kläui, B. N?hammer, C. A. F. Vaz, J. A. C. Bland, and C. David. Fabrication of nanoscale magnetic ring structures and devices. Microelectronic Engineering, 73-74:780, 2004. C. A. F. Vaz, M. Kläui, J. A. C. Bland, L. J. Heyderman, and F. Nolting. Effect of the magnetocrystalline anisotropy on the magnetic behaviour of ring elements. J. Appl. Phys., 95:6732, 2004. A. Haznar, G. van der Laan, S. P. Collins, C. A. F. Vaz, J. A. C. Bland, and S. S. Dhesi. Soft x-ray resonant magnetic scattering from a Ni layer with modulated magnetic anisotropy. J. Synchrotron Rad., 11:254, 2004. M. Kläui, C. A. F. Vaz, W. Wernsdorfer, E. Bauer, S. Cherifi, S. Heun, A. Locatelli, G. Faini, E. Cambril, and J. A. C. Bland. Domain wall behaviour at constrictions in ferromagnetic ring structures. Physica B, 343:343, 2004. C. A. F. Vaz, L. Lopez-Diaz, M. Kläui, J. A. C. Bland, T. Monchesky, J. Unguris, and Z. Cui. Observation of a geometrically constrained domain-wall in epitaxial fcc Co small disks. J. Magn. Magn. Mater., 272-276:1674, 2004. S. J. Steinmuller, T. Trypiniotis, W. S. Cho, A. Hirohata, W. S. Lew, C. A. F. Vaz, and J. A. C. Bland. Highly efficient spin filtering of ballistic electrons. Phys. Rev. B, 69:153309, 2004. M. Kläui, C. A. F. Vaz, T. L. Monchesky, J. Unguris, E. Bauer, S. Cherifi, S. Heun, A. Locatelli, L. J. Heyderman, Z. Cui, and J. A. C. Bland. Spin configurations and classification of switching processes in ferromagnetic rings down to sub-100nm dimensions. J. Magn. Magn. Mater., 272-276:1631, 2004. M. Kläui, C. A. F. Vaz, A. Lapicki, T. Suzuki, Z. Cui, and J. A. C. Bland. Domain wall pinning in ferromagnetic structures fabricated by focused ion beam. Microelectronic Engineering, 73-74:785, 2004. M. Kläui, C. A. F. Vaz, J. A. C. Bland, E. H. C. P. Sinnecker, A. P. Guimarães, W. Wernsdorfer, G. Faini, E. Cambril, L. J. Heyderman, and C. David. Switching processes and switching reproducibility in ferromagnetic ring structures. Appl. Phys. Lett., 84:951, 2004. Y. G. Yoo, M. Kläui, C. A. F. Vaz, L. J. Heyderman, and J. A. C. Bland. Switching field phase diagram of Co nanoring magnets. Appl. Phys. Lett., 82:2470, 2003. C. A. F. Vaz, L. Lopez-Diaz, M. Kläui, J. A. C. Bland, T. Monchesky, J. Unguris, and Z. Cui. Direct observation of remanent magnetic states in epitaxial fcc Co small disks. Phys. Rev. B, 67:140405(R), 2003. M. Kläui, C. A. F. Vaz, L. Lopez-Diaz, and J. A. C. Bland. Vortex formation in narrow ferromagnetic rings. J. Phys. : Condens. Matter, 15:R985, 2003. M. Kläui, C. A. F. Vaz, J. Rothman, J. A. C. Bland, W. Wernsdorfer, G. Faini, and E. Cambril. Domain wall pinning in narrow ferromagnetic ring structures probed by magnetoresistance measurements. Phys. Rev. Lett., 90:097202, 2003. M. Kläui, C. A. F. Vaz, J. A. C. Bland, W. Wernsdorfer, G. Faini, E. Cambril, and L. J. Heyderman. Domain wall motion induced by spin polarized currents in ferromagnetic ring structures. Appl. Phys. Lett., 83:105, 2003. M. Kläui, C. A. F. Vaz, J. A. C. Bland, T. L. Monchesky, J. Unguris, E. Bauer, S. Cherifi, S. Heun, A. Locatelli, L. J. Heyderman, and Z. Cui. Direct observation of spin configurations and classification of switching processes in mesoscopic ferromagnetic rings. Phys. Rev. B, 68:134426, 2003. L. J. Heyderman, M. Kläui, J. Rothman, C. A. F. Vaz, and J. A. C. Bland. Fabrication and anisotropy investigations of patterned epitaxial magnetic films using a lift-off process. J. Appl. Phys., 93:7349, 2003. C. A. F. Vaz, E. Blackburn, M. Kläui, J. A. C. Bland, Li Gan, Jr. W. F. Egelhoff, E. Cambril, G. Faini, and W. Wernsdorfer. Magnetoresistance magnetometry of (Ni80Fe20)1-xIrx wires with varying anisotropic magnetoresistance ratio. J. Appl. Phys., 93:8104, 2003. M. Kläui, C. A. F. Vaz, J. A. C. Bland, W. Wernsdorfer, G. Faini, and E. Cambril. Domain wall pinning and controlled magnetic switching in narrow ferromagnetic ring structures with notches. J. Appl. Phys., 93:7885, 2003. L. J. Heyderman, C. David, M. Kläui, C. A. F. Vaz, and J. A. C. Bland. Nanoscale ferromagnetic rings fabricated by electron-beam lithography. J. Appl. Phys., 93:10011, 2003. C. A. F. Vaz, M. Kläui, L. Lopez-Diaz, J. Rothman, A. Bleloch, Z. Cui, R. Speaks, and J. A. C. Bland. Mesoscopic fcc Co ring magnets. J. Magn. Magn. Mater., 249:208, 2002. J. A. C. Bland, W. S. Lew, S. P. Li, L. Lopez-Diaz, C. A. F. Vaz, M. Natali, and Y. Chen. Spin confinement by anisotropy modulation. J. Phys. D: Appl. Phys., 35:2384, 2002. S. P. Li,W. S. Lew, J. A. C. Bland, L. Lopez-Diaz, M. Natali, C. A. F. Vaz, and Y. Chen. Spin engineered magnetic media. Nature, 415:600, 2002. S. P. Li,W. S. Lew, J. A. C. Bland, L. Lopez-Diaz, C. A. F. Vaz, M. Natali, and Y. Chen. Magnetic domain confinement by anisotropy modulation. Phys. Rev. Lett., 88:087202, 2002. M. Kläui, C. A. F. Vaz, J. A. C. Bland, W. Wernsdorfer, G. Faini, and E. Cambril. Controlled magnetic switching in single narrow rings probed by magnetoresistance measurements. Appl. Phys. Lett., 81:108, 2002. M. Kläui, P. A. Lewis, C. A. F. Vaz, A. Blelock, R. Speaks, M. C. Blamire, J. A. C. Bland, and H. Ahmed. Fabrication and magnetic properties of prepatterned epitaxial nanodots. Microelectronic Eng., 61-2:593, 2002. M. Kläui, L. Lopez-Diaz, J. Rothman, C. A. F. Vaz, J. A. C. Bland, and Z. Cui. Switching properties of free-standing epitaxial ring magnets. J. Magn. Magn. Mater., 240:7, 2002. Z. Cui, J. Rothman, M. Kläui, L. Lopez-Diaz, C. A. F. Vaz, and J. A. C. Bland. Fabrication of magnetic rings for high density memory devices. Microelectron. Eng., 61-2:577, 2002. Y. B. Xu, M. Telepsi, E. Dudzik, C. M. Guertler, C. A. F. Vaz, G. Wastlbauer, D. J. Freeland, J. A. C. Bland, and G. van der Laan. Spin and orbital magnetic moments of epitaxial ultrathin Fe films on GaAs(100) studied by X-ray magnetic circular dichroism. J. Magn. Magn. Mater., 226-230:1643, 2001. C. A. F. Vaz and J. A. C. Bland. Dependence of the coercive field on the cu overlayer thickness in thin Co/Cu(001) and Ni/Cu(001) fcc epitaxial films. J. Appl. Phys., 89:7374, 2001. Y. B. Xu, M. Telepsi, C. M. Guertler, C. A. F. Vaz, G. Wastlbauer, J. A. C. Bland, E. Dudzik, and G. van der Laan. Giant enhancement of orbital moments and perpendicular anisotropy in epitaxial Fe/GaAs(100). J. Appl. Phys., 89:7156, 2001. C. A. F. Vaz, G. Lauhoff, J. A. C. Bland, B. D. Fulthorpe T. P. A. Hase, and B. K. Tanner. Effect of the Cu capping thickness on the magnetic properties of thin Ni/Cu(001) films. J. Magn. Magn. Mater., 226-230:1618, 2001. J. Rothman, M. Kläui, L. Lopez-Diaz, C. A. F. Vaz, A. Bleloch, J. A. C. Bland, Z. Cui, and R. Speaks. Observation of an onion-state and nucleation free switching in mesoscopic ring magnets. Phys. Rev. Lett., 86:1098, 2001. M. Kläui, J. Rothman, L. Lopez-Diaz, C. A. F. Vaz, J. A. C. Bland, and Z. Cui. Vortex circulation control in mesoscopic ring magnets. Appl. Phys. Lett., 78:3268, 2001. Y. B. Xu, C. A. F. Vaz, A. Hirohata, H. T. Leung, C. C. Yao, J. A. C. Bland, E. Cambril, F. Rousseaux, and H. Launois. 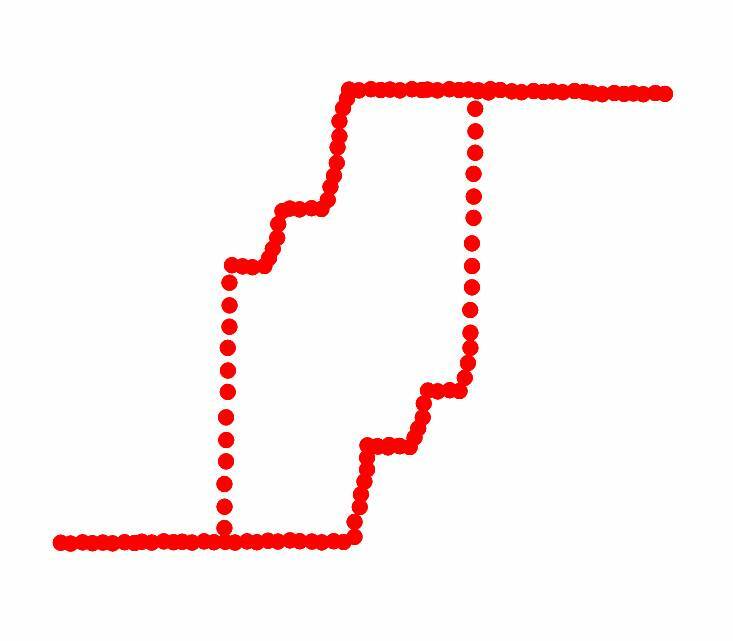 Magneto-resistance of a domain wall at a submicron junction. Phys. Rev. B, 61:R14901, 2000. C. A. F. Vaz and J. A. C. Bland. Strain-induced magnetic anisotropy in Cu/Co/Ni/Cu/Si(001) epitaxial structures. Phys. Rev. B, 61:3098, 2000. G. Lauhoff, C. A. F. Vaz, J. A. C. Bland, J. Lee, and T. Suzuki. Magnetoelastic anisotropy and strain in epitaxial Cu/Ni/Cu/Ni60Cu40/Cu/Si(001) structures. Phys. Rev. B, 61:6805, 2000. B. C. Choi, A. Samad, C. A. F. Vaz, J. A. C. Bland, S. Langridge, and J. Penfold. Layer selective determination of vector magnetisations in an epitaxial double spin valve structure: Si(001)/Cu/Co/Cu/FeNi/Cu/ Co/Cu. Appl. Phys. Lett., 77:892, 2000. Y. B. Xu, D. J. Freeland, E. T. M. Kernohan, W. Y. Lee, M. Telepsi, C. M. Guertler, C. A. F. Vaz, J. A. C. Bland, S. N. Holmes, N. K. Patel, and D. A. Ritchie. Ferromagnetic metal/semiconductor hybrid structures for magnetoelectronics. J. Appl. Phys., 85:5369, 1999. Y. B. Xu, C. A. F. Vaz, A. Hirohata, C. C. Yao, W. Y. Lee, J. A. C. Bland, F. Rousseaux, E. Cambril, and H. Launois. Domain wall trapping probed by magnetoresistance and magnetic force microscopy in submicron ferromagnetic wire structures. J. Appl. Phys., 85:6178, 1999. W. Zhang, C. A. F. Vaz, A. Hirohata, and J. A. C. Bland. Easy axis transition in epitaxial face-centered-cubic Ni80Fe20/Ni/Cu(100). J. Appl. Phys., 85:4806, 1999. C. A. F. Vaz, G. Lauhoff, J. Lee, and J. A. C. Bland. Effect of strain on the magnetic anisotropy of Co in Cu/Co/Ni/Cu/Si(001) epitaxial structures. IEEE Trans. Magn., 35:3850, 1999. W. Y. Lee, Y. B. Xu, C. A. F. Vaz, A. Hirohata, H. T. Leung, C. C. Yao, B.-Ch Choi, J. A. C. Bland, F. Rousseaux, E. Cambril, and H. Launois. Effect of junction geometry on switching field and reversal behaviour in permalloy wires. IEEE Trans. Magn., 35:3883, 1999. G. Lauhoff, C. A. F. Vaz, J. A. C. Bland, J. Lee, and T. Suzuki. Magneto-elastic anisotropy in epitaxial Cu/Ni/Cu/Ni60Cu40/Cu/Si(001) structures. IEEE Trans. Magn., 35:3883, 1999. C. A. F. Vaz, M. Godinho, J. L. Dormann, M. Nogués, A. Ezzir, E. Tronc, and J. P. Jolivet. Superparamagnetic regime in γ-Fe2O3 nanoparticle systems; Effect of the applied magnetic field. Materials Science Forum, 235-238:813, 1997.